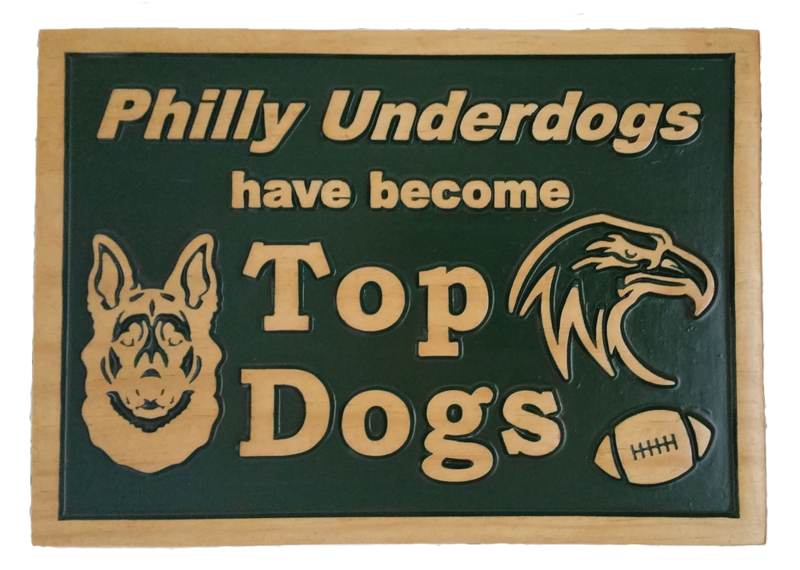 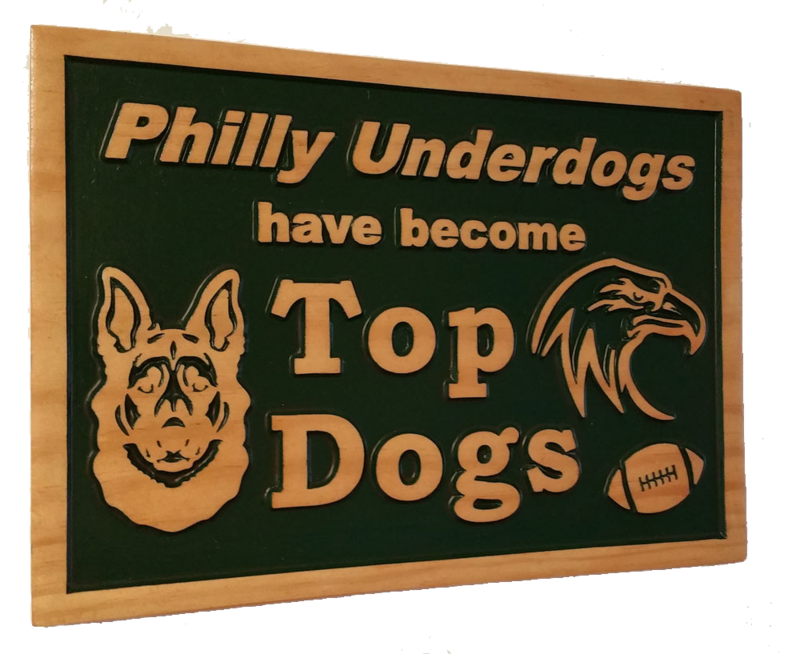 Philly Underdogs (Eagles) have become Top Dogs! 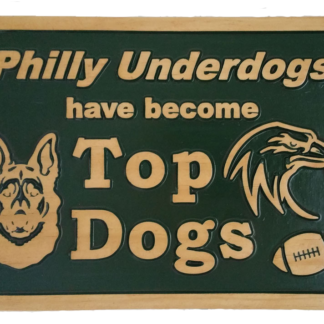 Two-tone wall plaque carved in 3D relief with green paint and classic oak stain/polyurethane finish. 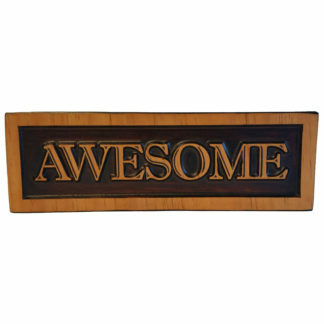 Woodcarved wall Plaque made of Select Pine using a 3D relief carving. 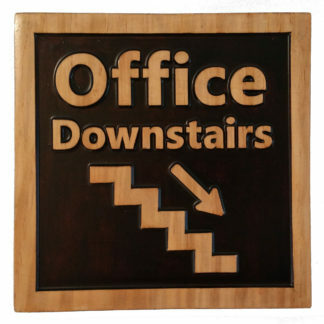 Two-tone: Green with Classic Oak Stain/Polyurethane. 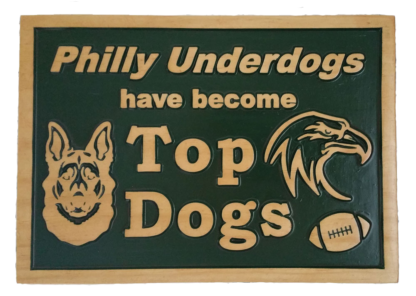 Celebrate the Philly Football Underdog success! 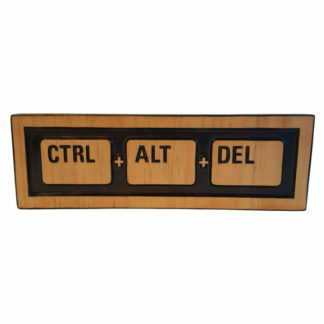 Comes with sawtooth hanger on back allowing you to easily hang this wall plaque in your sports hangout, man cave, living room or wherever you want!